"When the two days were over, he went from that place to Galilee (for Jesus himself had testified that a prophet has no honour in the prophet's own country). When he came to Galilee, the Galileans welcomed him, since they had seen all that he had done in Jerusalem at the festival; for they too had gone to the festival. Then he came again to Cana in Galilee where he had changed the water into wine. Now there was a royal official whose son lay ill in Capernaum. When he heard that Jesus had come from Judea to Galilee, he went and begged him to come down and heal his son, for he was at the point of death. Then Jesus said to him, 'Unless you* see signs and wonders you will not believe.' The official said to him, 'Sir,come down before my little boy dies.' Jesus said to him, 'Go; your son will live.' The man believed the word that Jesus spoke to him and started on his way. As he was going down, his slaves met him and told him that his child was alive. So he asked them the hour when he began to recover, and they said to him, 'Yesterday at one in the afternoon the fever left him.' The father realized that this was the hour when Jesus had said to him, 'Your son will live.' So he himself believed, along with his whole household. Now this was the second sign that Jesus did after coming from Judea to Galilee." Today is the 23rd day of Lent, but it is also a day that is very close to my heart: Today is the Opening Day of the Baseball's regular season. I know, I know. I had to ask myself the same question. Am I really going to bring Baseball into a Lenten reflection? Absolutely. For many fans, especially fans living in Boston and New York, Baseball is an exercise of faith in and of itself. The start of a season is a time of reaffirmation about the teams we love. A time when fans reacquaint, and rededicate themselves to a new starting lineup. A time to say hello to new faces on the field, and reminisce about the legends that might have left last autumn. Oh yea, don't forget about all those crazy rituals and superstitions. Go into any major city in America, and you will find those who agree with me. 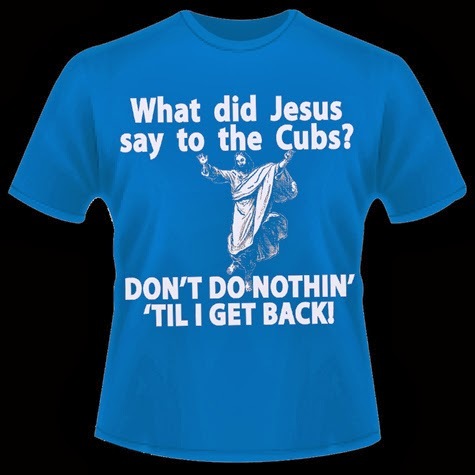 Baseball is a religion for many, however this idea is especially true for the fans of one particular team: the Chicago Cubs. A lot of stuff has happened since the Cubs last won the World Series in 1908. The Ottoman Empire was still in power. The Titanic was not yet built. The world was a different place. And yet, 106 years later people are still excited to fill the stands of Wrigley Field for Opening Day. And for what? Are they expecting a new result? Are they expecting victory? Why should this season be any different than the last century of seasons? Sure sounds like faith to me. I think Jesus could be preaching to Cubs fans in today's reading from John. He seems to be preaching to those in dire circumstances. To the official whose son is on the verge of death. To those who are clinging to hope. What happens next defies logic. The man believes - and believes without proof: "The man believed the word that Jesus spoke to him and started on his way." Lo, and behold, when the man arrived his son was on his way to a full recovery, and not just because of the divine power of Christ, but also because the official had the strength to believe in the midst of darkness. Because he didn't need to see signs and wonders to prop up his faith. Jesus teaches us in this story that it is not completely crazy to expect the unexpected. It is not crazy to believe in miracles without accompanying signs and wonders. This goes for faith as well as many other things in life. Yes, even Baseball. I guess that's the reason why Wrigley Field is always packed on Opening Day. Sure, there is no reason to believe this is the year that the Cubs win the series, but that doesn't stop us from believing it could be. 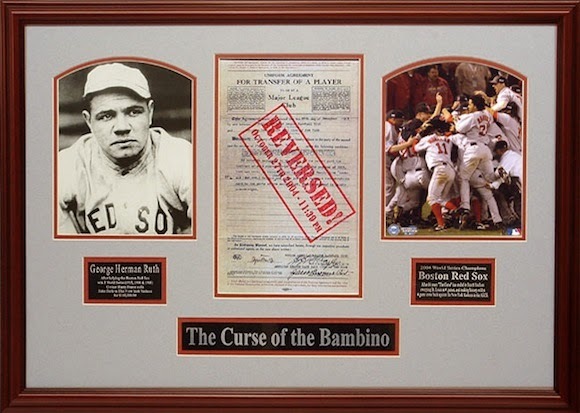 After all, it wouldn't be the first time a curse was reversed in the sport. Will Bryant is 25 years old and from the Diocese of Western North Carolina. He is currently serving with the Mission to Seafarers in Hong Kong.